We're suits, creatives, analysts and media planners & buyers. Simon worked client-side, helping to set the standard for big-brand digital engagement before launching Cubaka. He works closely with all our clients, advising them on their strategic direction in the social and digital spaces. 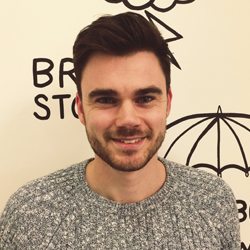 Olly has been lucky enough to work with brands such as Diageo, Barclays and Kronenbourg over the past four years. He’s now our partner (some guys have all the luck, eh?). Elana brings over a decade of social and digital experience to her role at Cubaka, having led national and global campaigns for brands such as Audi, Tesco and Carlsberg. A self-obsessed data geek, she likes nothing more than turning social insights into successful strategy...except maybe a good workout at the gym. Lauren is an Account Manager. 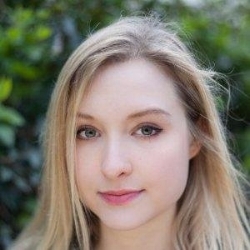 Prior to joining Cubaka, Lauren worked at a Publisher. Making the leap into to the digital realm, she is now happily satisfying her social media cravings. Duncan has over 10 years' experience delivering PR and social media reporting and insight to clients across finance, government and automotive sectors.Currently leads our insight team at Toyota and Lexus in Epsom. Matt is a community manager for Toyota and Lexus UK. He brings with him an unhealthy obsession with customer service and loves how social has given power back to the people. Sarah is a copywriter with a background in marketing and advertising. When she's not writing and conceptualising creative ideas, you'll find her teaching yoga around London. 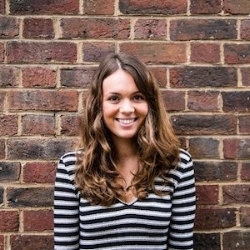 Sonja is a digital and marketing freelancer who regularly steps in on copy and community management. She combines creative and technical skills to deliver results. In the past, Laurence's worked across B2B and B2C and has spoken at various conferences and events around the world. In his spare time, he performs stand up comedy and loves live music. Padraig is a community manager for Toyota and Lexus UK. Huge motoring enthusiast, he worked as a freelance automotive journalist and in editorial before joining Cubaka. His work included the likes of AOL Cars, Auto Express & Carwow. Tobi provides insights to the Toyota GB PR department, social media department and wider business in order to influence future content and product development.